Denmark selected the Thor site, off the country's east coast in late February, following a long evaluation process. Grid connection is expected in 2024-2027. In previous offshore wind tenders, the transmission system operator Energinet had been responsible for the project’s grid connection, leaving developers to focus purely on the project itself. This resulted in, at the time, low bids for the Horns Rev 3, Kriegers Flak and Vesterhav nearshore projects – all won by Vattenfall. The Horns Rev 3 auction, held in February 2015, resulted in a price of €103.1/MWh, before the nearshore Vesterhav projects were won at a price of €63.8/MWh in September 2016. Vattenfall then won the licence to build the Kriegers Flak site in November 2016, following a bid of €49.9/MWh. Transmission costs are estimated to add an additional €10-13/MWh to the levelised cost of energy for an offshore project in Europe, but with the development of new, more efficient technologies such as 66kV cables, this cost could be lower. Energinet will retain the responsibility for the onshore part of the grid connection, but it will be paid for by the developer, the DEA said, subject to European Commission approval. Prior to widening the project scope, the government expected offshore wind to be able to produce electricity "under market conditions" without public support. In addition to the transmission, the successful developer will also have the "flexibility" to increase Thor’s capacity to 1GW – up from the planned 800MW. "Further information concerning the tender will be included in the prior information notice which is expected to be published in the middle of 2019," the DEA said. The industry has welcomed the changes to the tender scope. Jan Hylleburg, director of the Danish Wind Industry Association (DWIA) said: "The decision is good news, as it ensures a more cost effective development of offshore wind. "It's a natural step to take as the bidders can optimise the project better and also take advantage of the technological advance which in the end ensures lower prices and potentially also a larger park than the 800MW that the government has projected." 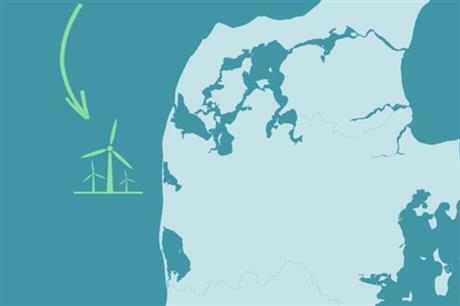 Under the energy agreement signed summer 2018, Thor is the first of three 800MW offshore wind projects to be tendered before 2023 and online by 2030.